Too quick to judge KiwiBuild? Housing and Urban Development Minister Phil Twyford says he thinks Kiwibuild will complete 300 houses but not 1000 houses in its first year. Kiwibuild may not meet its first-year target, but some economists and developers believe people have been too quick to dismiss its influence. 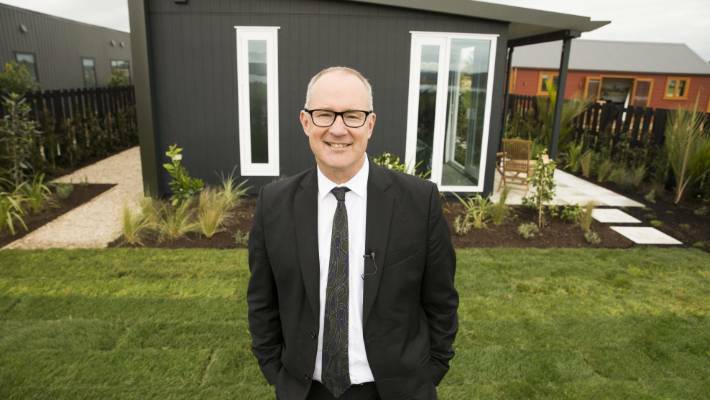 Housing and Urban Development Minister Phil Twyford says Kiwibuild is on track to complete 300 houses by July 1 but that it will miss its first-year target of 1000 homes. Auckland Council’s chief economist and former Westpac economist David Norman said that was not surprising because of the time it took to get housing underway. The growth in Auckland building consents indicates demand is still strong, especially for cheaper new houses. But Kiwibuild had been useful in creating “a whole new market segment” of lower-priced homes in Auckland where there had been little incentive to deliver them in the past. Some developers were now targeting the $650,000 Kiwibuild price cap for three-bedroom houses in Auckland, even if they weren’t part of Kiwibuild. And the focus on lower new house prices was not due to fears of fewer buyers and a softer real estate market, because building consents were “going through the roof”. 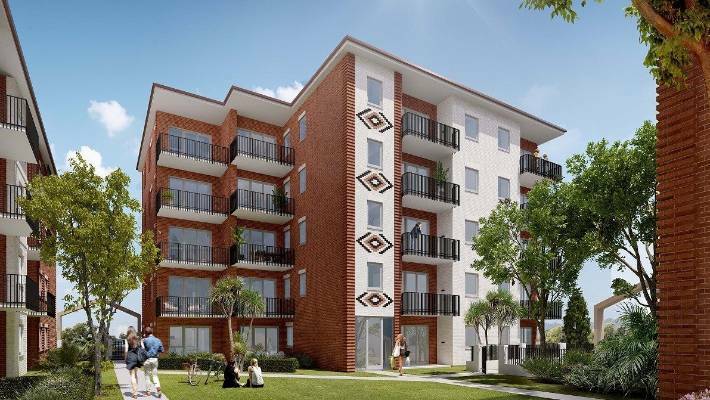 Tuatahi, a housing development containing some Kiwibuild apartments being built by Ockham Residential and local iwi, in Mt Albert. Phil Eaton, of construction consultancy Greenstone Group, also believed Kiwibuild had been useful in making people think about what the housing solution might look like. “Existing and new organisations are considering the capital it would take to set up factories, improve systems or train new people,” he wrote in a LinkedIn post. It had also created optimism in the industry, by underwriting developments. 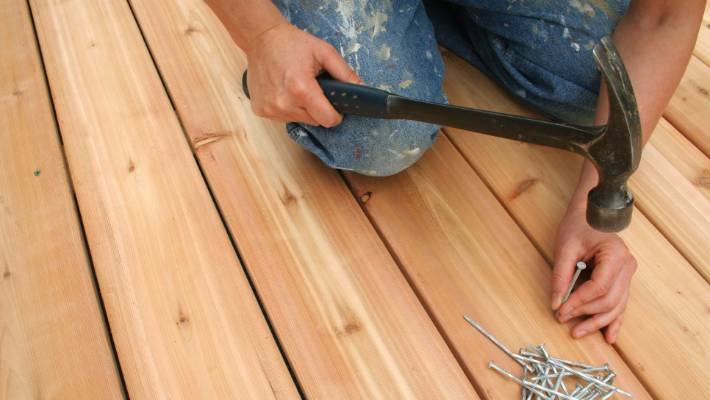 “If the buyers are there … then it’s worth spending time and money creating new products, buying land and pursuing new opportunities. 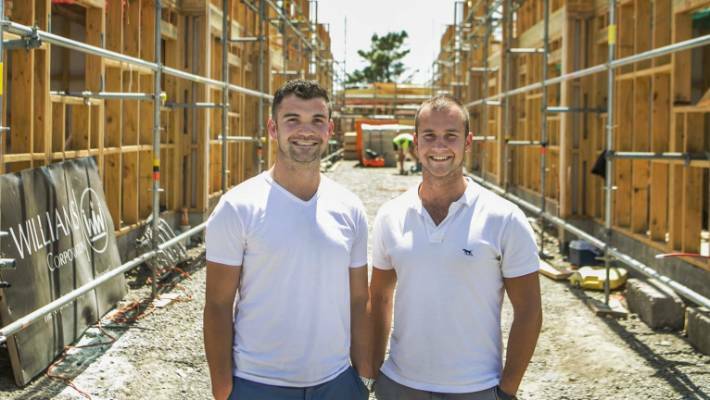 Matthew Horncastle (left), seen with business partner Blair Chappell, says it’s unfair to single out Kiwibuild. But Kiwibuild had shown what a “basket case” the industry was and how difficult it was to develop and build new dwellings. “It is a complex range of skill sets that is required to do so successfully in this market. There is a lot of room for improvement right across the supply chain. However, Eaton said Kiwibuild’s ambitious targets had set it up for criticism, although they had made Housing NZ and the Hobsonville Land Company more focussed. Property developer Matthew Horncastle, who has had some initial talks with Kiwibuild, said he felt the Government should revise the targets. But anything that aided affordable housing was positive, and Kiwibuild’s sluggishness told a story. Horncastle said he personally believed the Government should leave building to the industry and spend its energy on removing bureaucracy instead. Rezoning for high density, lowering GST and harmonising local body rules would all go a long way, he said. “There’s no one silver bullet. It’s a mixture of cultural things like car ownership, high density, greater standardisation, bringing down material prices, wage growth. It’s all doable and anyone who points a finger at a government is doing the wrong thing as well. It was also something that would take a long time to fix.